Small-format retail and foodservice markets are making significant changes in their refrigeration architectures. President Obama-era regulations, environmental initiatives by industry organizations, and the desire to adhere to corporate sustainability objectives are driving these sectors away from hydrofluorocarbon (HFC) refrigerants and toward natural alternatives. Natural refrigerants propane (or R-290) and CO2 (or R-744) are emerging as environmentally friendly, energy-efficient options to help operators achieve their short- and long-term refrigeration objectives. The broad spectrum of applications in these markets is making this transition especially complex. Whether you operate a small grocery, convenience store or restaurant, you’ll find a dizzying variety of equipment and system architectures, each with unique new refrigerant requirements. Making sense of it all is not easy, but many owner/operators are tasked with selecting refrigeration platforms that will serve as the future of their refrigeration strategies. It’s no surprise then that R-290 and CO2 play an increasingly vital role in these markets. As it stands today, there are numerous regulatory deadlines from both the Environmental Protection Agency (EPA) and the Department of Energy (DOE) that will take place in the next several years. The EPA has set a phase-out schedule for the use of HFC refrigerants with a high global warming potential (GWP), while the DOE has established new energy consumption guidelines for specific classes of refrigeration equipment. Unfortunately, compliance dates from each agency aren’t necessarily in sync. While recent actions from the Trump administration suggest that deregulation measures may yet be on the horizon, the specific extent of these revisions is still largely unknown. Even so, the industry has made tremendous progress in recent years developing new equipment that utilizes natural refrigerants with lower GWP; these efforts will continue, regardless of the regulatory decisions of the current administration. It’s important to note that the EPA has listed R-290 acceptable for use in new stand-alone units and ice machines, while R-744 is allowable in each of the above classes. R-290 has a GWP of 3; R-744 has a GWP of 1. And while other synthetic refrigerant options are available, currently none of these alternatives can deliver ultra-low GWP levels below 150 GWP, which is considered the hypothetical threshold for exemption from future regulatory action. R-290 has proved a viable replacement to R-404A and HFC-134a, delivering well-documented performance efficiencies and superior thermodynamic properties, without compromising capacity. Caveats for R-290 use come down to its flammability (class A3), serviceability concerns and charge limit of 150g. Because CO2 has a high operating pressure (around 1,300 psig or 90 bar) and low critical point, refrigeration strategies must be designed to account for its unique characteristics. Read the full Accelerate America article on small-format refrigeration applications [pg.18]. There’s no question that the re-introduction of the natural refrigerant propane (or R-290) into commercial refrigeration was borne out of necessity. With many operators stating corporate sustainability goals and seeking to achieve regulatory compliance, R-290 is one of the few options capable of meeting both strategic objectives. But for all its green benefits, R-290 also delivers other advantages that modern retailers prize: performance efficiencies. Combined, these virtues are helping to overcome safety and servicing concerns to change perceptions of R-290. R-290 performance efficiencies can be attributed to its excellent thermodynamic properties which are similar to R-404A, such as low back pressure, high volumetric capacity and coefficient of performance. In fact, in Emerson’s independent test labs, R-290 consistently outperforms R-404A in energy efficiencies. The evolution of modern refrigeration equipment manufacturing and technologies — with an increased emphasis on component and equipment safety — has also helped alleviate concerns about R-290. Regardless, the low maximum charge limit of 150 has largely restricted the use of R-290 to smaller, stand-alone (or self-contained) equipment. These changing perceptions became apparent recently when Target announced its plans to move toward R-290 based refrigeration systems. Starting in 2016, the retailer stated that all of its new stand-alone coolers with a compressor capacity below 2,200 BTU/h would use R-290. From an original equipment manufacturer perspective, 2016 was also a turning point for R-290 adoption in the U.S. 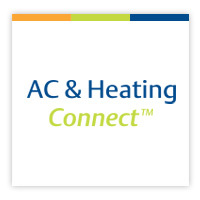 According to Howell Feig, national sales manager of AHT Cooling Systems USA, more of their customers are moving toward propane. “From a business perspective, it just makes sense for our customers to use R-290. Our self-contained, R-290 units are eco-friendly, energy-efficient and reliable,” Feig said. “Customers are looking at propane primarily because of its negligible impacts to the environment and the higher efficiency it provides,” he added. Another misperception about moving to R-290 systems is the question of serviceability. However, many of these low-charge systems are factory-sealed to essentially enable “plug and play” installation. And since they are stand-alone units, they don’t present the complexities found in remote refrigeration systems. Not only can technicians quickly be trained to work on these units, but any problem they might have is isolated — meaning they don’t have to worry about food loss across a whole department. Although OEMs and operators alike are currently working within the 150g charge limit, the potential to increase that charge would enable additional advances in system design and efficiencies. For example, increasing to 500g (or even 1kg) would allow one compressor to service larger cases. But even with the current 150g charge limit in place, many retailers are more than happy to deploy R-290 systems in their outlets. Read the full Accelerate America article on changing perceptions around R-290 [pg.14]. This blog summarizes an article from our E360 program, entitled “Wallace Delivered Senate Testimony.” Click here to read it in its entirety. John Wallace, Emerson’s director of innovation, visited Washington in October to meet with members of the Senate Committee on Energy & Natural Resources. The topic of the meeting? Energy management and building control systems. Several other industry leaders joined Wallace in discussing ways “smart” technology can reduce energy use and costs in HVAC, refrigeration and lighting systems. Here’s a summary of what was discussed. More efficient equipment can be easily incorporated into new buildings. However, the problem lies in the fact that newer buildings are only a small portion of a multi-site operator’s portfolio, and the majority of buildings in use are older and more difficult to modernize. Because of this, Emerson is working with customers to develop technologies that can be seamlessly integrated into existing, older buildings. Adding these new technologies and incorporating smart building strategies, like utilizing natural refrigerants and applying variable-speed technologies, can help improve sustainability efforts while lowering operating costs in both new and existing buildings. Wallace explained that integrating HVAC, refrigeration and lighting systems into building automation and supervisory controls systems can help building operators gain insights into energy use, reduce consumption and lower costs. “Technology such as Emerson’s Site Supervisor building automation system integrates equipment controls, provides sensors to monitor key metrics within the building, and utilizes IoT technologies to connect buildings to cloud-based services, providing remote access to equipment from off-site,” said Wallace. IoT technology continues to open doors for facility and operations managers, allowing them to optimize their operations inside their buildings while simultaneously reacting to and coordinating with services outside of their buildings. Because all of this and more can be monitored off-site, energy use can be reduced across an entire portfolio of buildings. IoT technology also has a hand in demand response programs for foodservice and retail operations. Demand response programs provide incentives (typically monetary) to building operators in exchange for lowering their instantaneous peak demand for electricity. The challenge for building operators is to find a way to “shed” energy to lower costs and earn incentives without sacrificing food safety or negatively impacting the shopping experience. “Newer technologies that provide the potential for building operators to autonomously aggregate peak demand reductions across multiple buildings, as well as shifting demand peaks, can provide smarter buildings and more intelligence on the way these types of programs are implemented,” said Wallace. Pairing these technologies with demand response incentive programs could help building operators cultivate more efficient and sustainable environments, all while operating at lower costs than before. Wallace assured the Senate committee that Emerson will continue to look for ways to incorporate innovative technologies to strike a balance between local control of the building equipment and the external services that can optimize operations, not only of an individual building, but also across a portfolio of buildings. With new technology being developed every day and smart strategies slowly becoming more popular, the industry has a bright and sustainable future ahead.